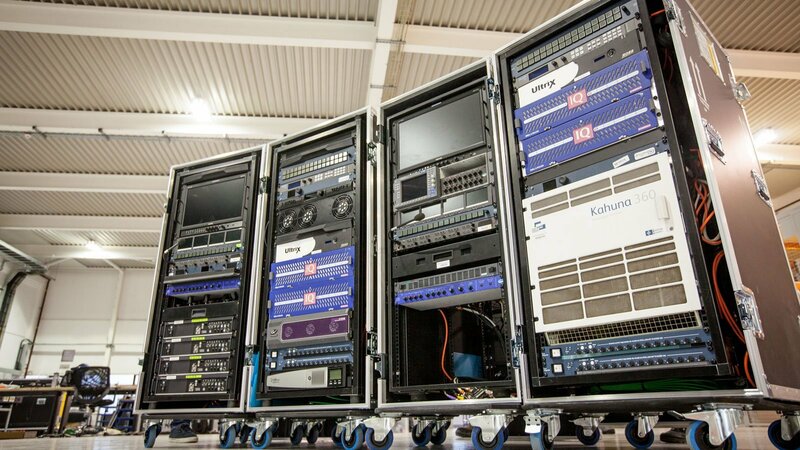 ES Broadcast’s systems integration division has delivered three UHD PPUs (portable production units) and one HD 3G PPU for live events and AV specialist, Creative Technology (CT). Built on some of the latest routing and switcher technology, the new UHD PPUs will allow CT to expand and upgrade the specialist AV services it offers to clients in the sports, entertainment, exhibition and corporate sectors. The PPUs were designed to combine the cutting-edge technology which underpins the units’ UHD capabilities with simplified operability and a familiar system architecture. This would allow engineers to easily transition between existing and new systems, said Chris Williams, Projects Director for ES Broadcast. “Our solution mirrored the logic of the Grass Valley Kayak 1080i systems CT already had in operation, but incorporated technology capable of 1080p and UHD live production,” he explained. “By combining a Ross Ultrix FR2 router and TSL Tallyman control system for each PPU, we were also able to deliver a highly integrated, flexible solution that is really intuitive for operators to use,” said Williams. The PPUs had already proved their worth on a number of high-profile jobs, said Sid Lobb, Head of Vision and Integrated Networks for Creative Technology. “Our clients really like them. They have already been used for product launches, international exhibitions and UK music tours,” he said. Two of the UHD PPUs are split-rack systems based on Grass Valley Korona vision mixers. The third UHD unit is a dual-rack system based on a Ross Carbonite vision mixer. The HD 3G PPU uses a S-A-M Kahuna 360 vision mixer. This HD flyaway was an existing system that was rehoused and upgraded to offer 3G capabilities. All four PPUs feature a Ross Ultrix FR2 12G UHD routing platform, with full Demux/Mux, frame-syncs, multiviewers and gearboxing. The Demux/Mux and Madi Core were also used to deliver enhanced audio capabilities, a key requirement for CT. In each unit, the Ultrix router is controlled using a TSL Tallyman control system with control panels. ES Broadcast also built fully customised rear panels for the racks. Motorised production monitor racks and building production desks with integrated comms, control and mixer surface were also fitted. Each rig can be fully supported remotely.